Derek Buttiker Sensei, Head Instructor, currently holds the rank of Nidan (2nd degree black belt) in Shinshin Toitsu Aikido and Shoden in Shinshin Toitsudo. He began studying the martial arts in 1980 and was an Instructor for the Fairfield University Karate Club for 10 years. In 1995, Derek started to study Shinshin Toitsu Aikido under Mitch Sakofs Sensei. 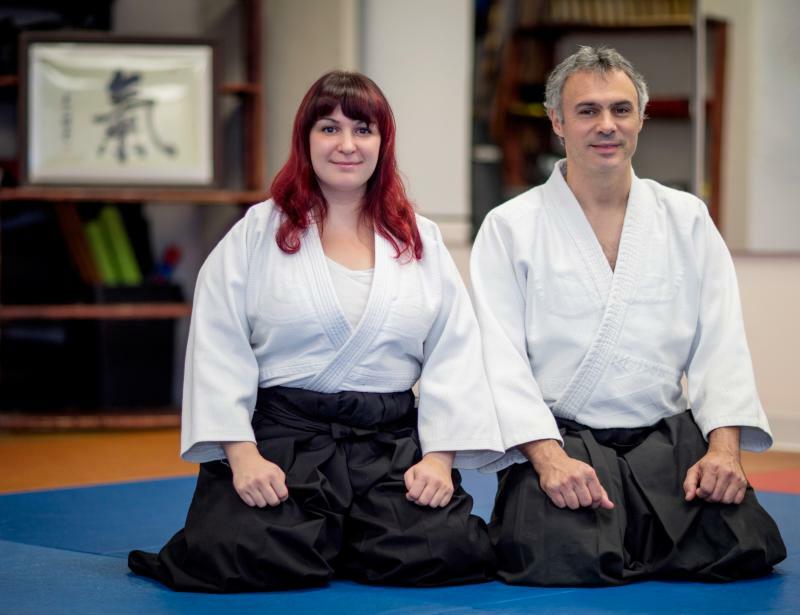 Danielle Bardinelli, Assistant Instructor, currently holds the rank of Shodan (1st degree black belt) in Shinshin Toitsu Aikido and Jokyu in Shinshin Toitsudo. She began studying with Buttiker Sensei in 2006 and has been a very sincere student, always at class early and making time to attend seminars and go for additional training. Society dojo under the name of Connecticut Ki Aikido. Copyright 2010 Connecticut Ki Aikido. All rights reserved.